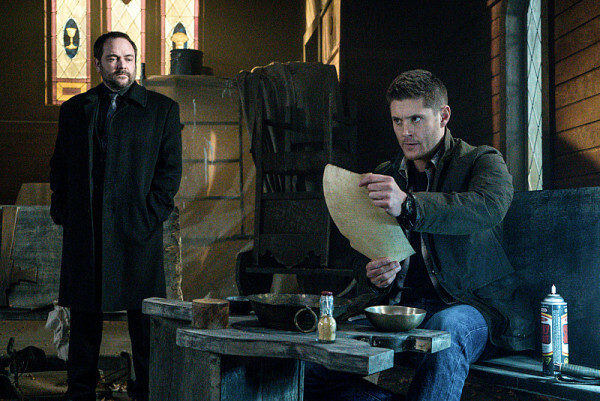 When we move the plot forward in Supernatural, sometimes we do it at super-speed. There were lots of scenes hitting on multiple plot points, but I wonder if we did too much too soon. Definitely not an episode that can be watched just once in order to catch all the little details. So, the whole “one hit and you’re done” with these Hand of God objects are becoming a bit predictable. Or maybe each re-try is an attempt to clarify who and what will yield the ultimate power. Now that we see it doesn’t even work in certain people’s hands, we need a new plan. 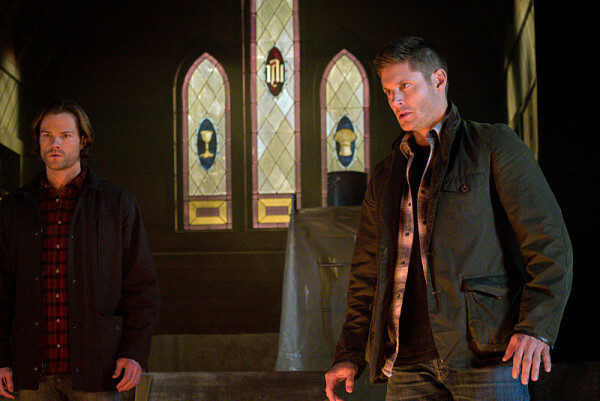 Lucifer!Cas and Crowley both failed in their attempts, but maybe Dean will be the key to it all. He had the Mark of Cain, he’s connected to Amara, so utilizing God’s power on top of that connection might be enough to stop her forever. Or perhaps God really does need to show up to end this whole interplay. Come on family drama. However, Crowley trying to manipulate his way with the Winchesters was a nice revisit to the typical interactions they have. The King of Hell plays his side to his ultimate benefit, the Winchesters go along with it even when they don’t agree, neither side gets their way. The fact that Crowley’s motivated mainly by vengeance against Lucifer!Cas over what humiliation he put Crowley through seems like a sure way toward failure. We already saw that the original plan didn’t work so well, so getting Lucifer!Cas repeatedly angrier is not going to gain them a victory. 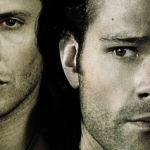 Since the Winchesters weren’t in the episode as much as usual, focus on the other characters is warranted. I will admit that there were some surprising elements there, so it wasn’t wasted scenes. The most unexpected of them all was, of course, the reveal that Rowena’s not dead. Just like her son, she is continuing to work her side of things to her ultimate benefit. Since allying with Lucifer didn’t work out so well, it’s time play the friendly helper to Amara. I like that she’s a bit wary of it, though, even when she’s trying to hold it together. I guess, after what Lucifer did, she’s afraid of beings with such power. Better hope Amara doesn’t turn on her or this time there might be no coming back from death. And then there’s the issue with Lucifer!Cas. Crowley wants Lucifer back in the Cage, Dean just wants Lucifer out of Cas, and Cas is hanging out in his mind not seeming to be jazzed up to do anything. I really, really liked seeing Nick!Lucifer when they took a trip inside the mind. He can pop up anytime, I’d be okay with that! He has such a way of portraying fear and charm, all wrapped up in one vessel. Not that Lucifer!Cas isn’t creepy himself. The whole time he was up in Heaven, the angels were trapped somewhere between fear and disgust over what he is, what he stands for. But he banished the Darkness away before, so maybe he’s their best hope this time around, too. 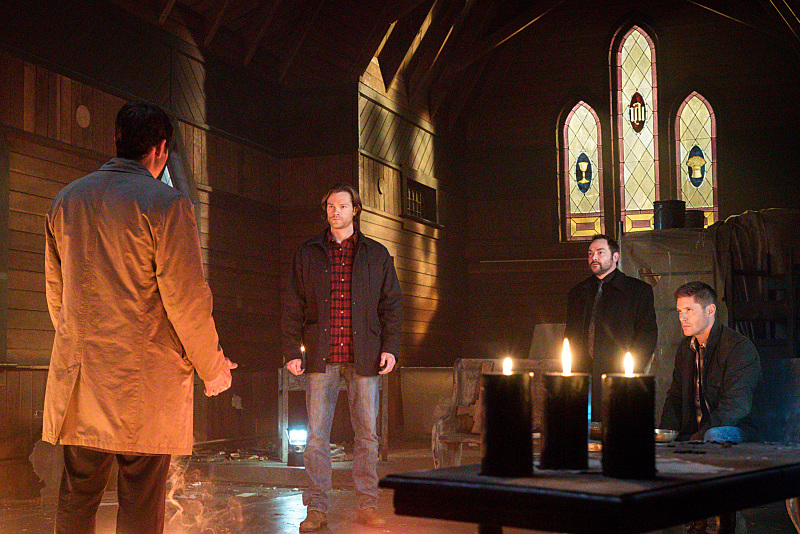 Will torturing Lucifer!Cas really bring out God, like Amara thinks? Sure, he’s the First Son, but does God still feel love towards Lucifer? Enough that he would come out of hiding to confront his sister? I’m not so sure, but it’s a valid plan until something better comes along. 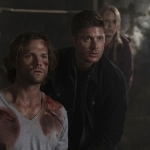 Then again, depending on how they play it, if God has ignored the pleas of both the angels and the Winchesters for all these years, let the world almost get destroyed again and again, allowed Heaven to become a disorganized power-play, only to return at the pleas of Lucifer…I’m not so sure how I’d feel about that. But I’m willing to stick it out for the hope of a great pay-off. And ending the episode with Lucifer!Cas screaming, tortured under Amara’s hand, is a good cliffhanger. How far will Amara push him? Hopefully not enough to break Cas forever. I don’t think Dean could live with himself if that happened, despite trying to honor Cas’s choice in the matter. Heart choice versus smart choice. It’s what always gets them cursed to bad outcomes.